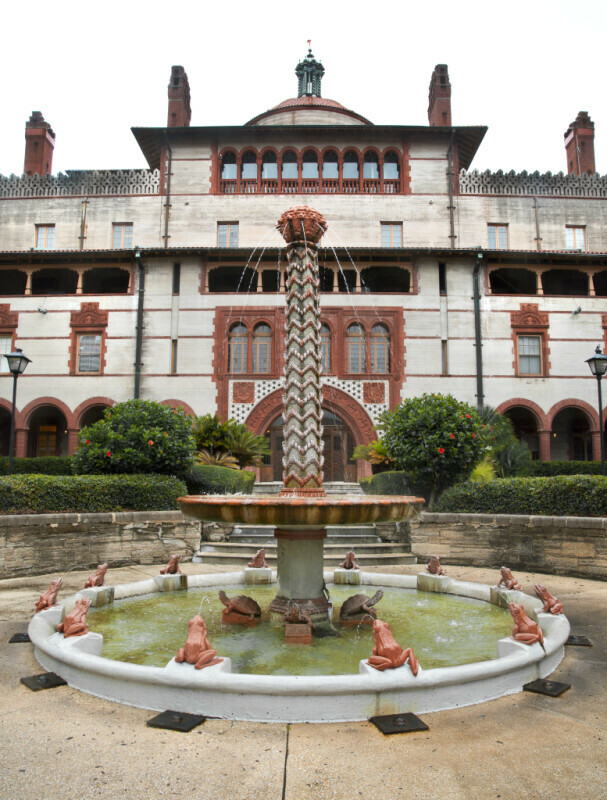 This fountain is located in the courtyard of the Hotel Ponce de Leon. There are terracotta frogs around the outer rim of the pool, and terracotta turtles at the the center of the pool. The fountain has a large central column, which is decorated with mosaicked tiles. At the top of the central column, there is a terracotta sphere, with sculpted lion faces on its surface. The surrounding building was the Hotel Ponce de Leon, which is listed on the National Register of Historic Places.